International Staff Training Days will be held at the University of Iceland 16-18 May 2018. The Staff Days are hosted by the International Office and are open to university employees working in the field of international relations and mobility at their institution. We especially welcome colleagues from our partner universities. • What are the key indicators of quality in mobility? How can we measure the quality of existing partnerships? • How can digital technology be used to improve the quality of mobility? • How can we increase mobility to/from less active faculties and to/from less active partners? 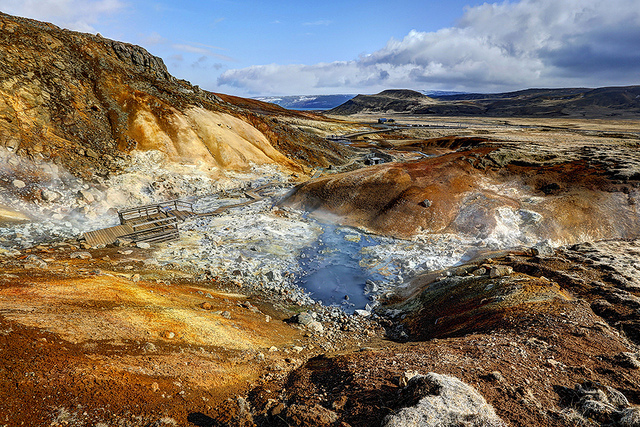 Highlights of the program include our ever-popular international tasting reception, professional guest lecturers, a networking dinner in downtown Reykjavík plus an excursion to the Krýsuvík Geothermal Area. Details of the program will be published later. Participation fee is 190€ for the full programme from noon, Wednesday and all-day Thursday & Friday. The fee includes two lunches, a welcome reception, dinner Thursday evening, handouts, coffee and refreshments and the excursion. Please note that participants are responsible for covering their own accommodation and travel costs. The deadline for submitting an application is 22 January 2018. Limited places available. Applications will be answered by 1 February 2018. We hope to welcome you at the University of Iceland in May!